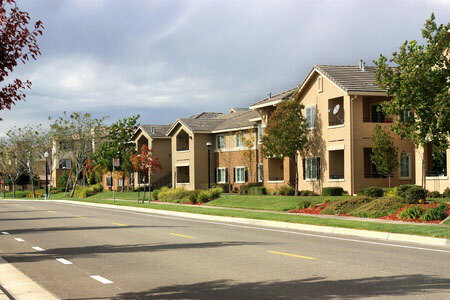 Multi-family housing and apartment complexes are two of the most popular types of homes and at Mr. Pavement, we have the expertise and the tools to make sure the asphalt around these buildings is sealcoated. 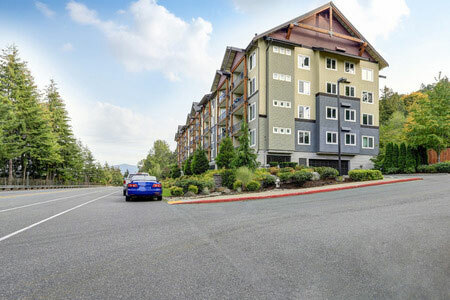 We know that townhomes, condominiums, and apartments need many parking spaces and can have a large amount of asphalt, which is why we’re here to help with our HOA’s and apartments sealcoating. Curb appeal is an important part of managing an HOA or apartment complex and is one of the main influences of occupancy rates. Asphalt boasts a high curb appeal, which means when your asphalt looks great, so does your complex. With a professional HOA or apartment sealcoating from Mr. Pavement, we can help you improve the look of your parking lots, basketball courts, pool or park areas, and more. We use the best materials in the industry to properly seal and protect your asphalt so that you can not only enjoy a rich, bold, and beautiful paved area, but you can also rest assured that these areas will have a barrier against natural elements like sleet, hail, UV rays, and more. For the best in HOA’s and apartments sealcoating, don’t hesitate to contact our experts. We’ll set up an appointment for you quickly so you and your tenants can enjoy asphalt that looks as good as new.